Welcome to Day 10 of the 31 Days 31 Printables series. If you’re just joining us, I’m spending the whole month of October sharing at least one free printable each day. Right now I’m working on updating my holiday planner printables, and I’m loving how they are turning out. 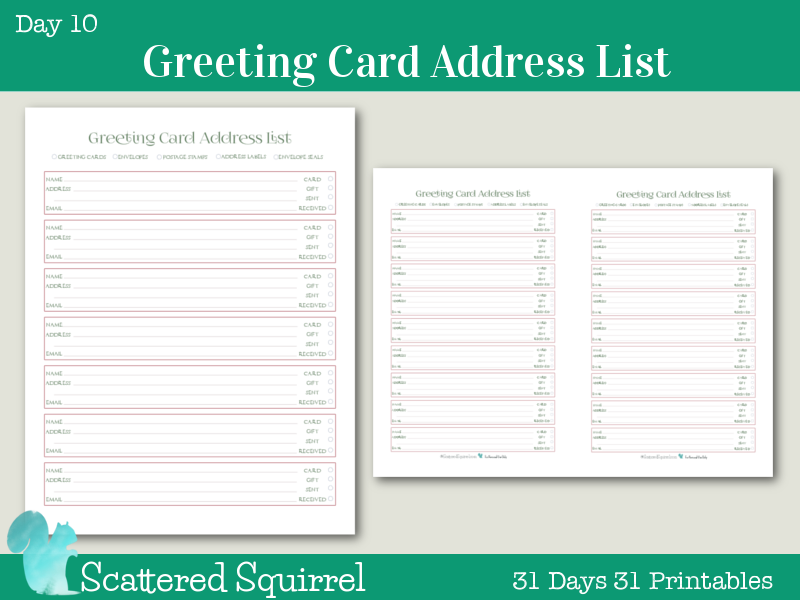 I started with Gift Ideas and Wish Lists and continued on with Gift Giving Trackers, and now I’m adding the new Greeting Card Address List to the mix. I realize that many people have long since ditched the physical address book in favour of a digital one. With smart phones being able to hold our contacts from various places all in one place, I can certainly understand the appeal. When it comes to working on things like addressing my greeting cards, call me old-fashioned if you want to, but I find I prefer to use a paper address book. 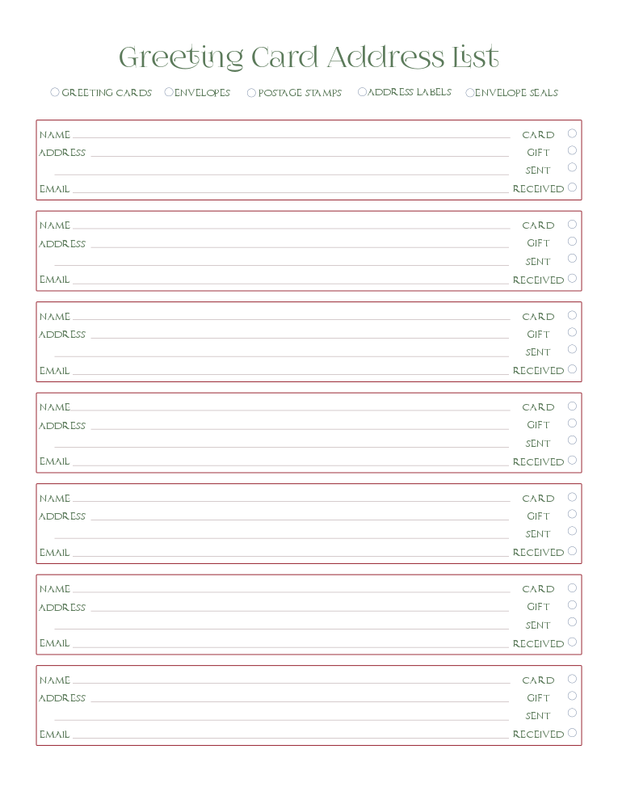 My old mailing list printable was working ok, but like the rest of the holiday planner printables it was in need of some updating. 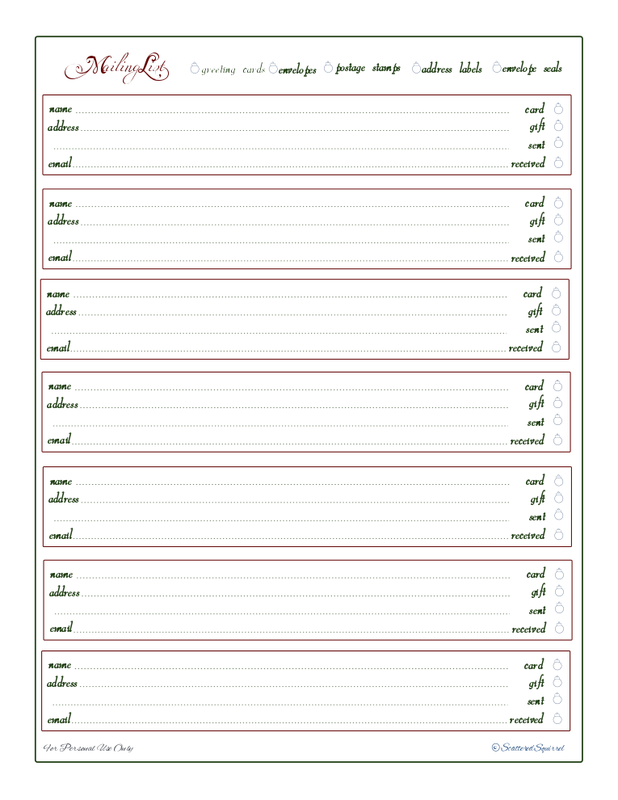 I print mine out and fill out the name and address portion, then I pop filled out sheets into a page protector. Every year I use a dry erase marker to mark off whether or not I’ve made and/or filled out a card for each person, whether there is a gift attached to the card and if it’s been sent and received. At the end of the holiday season I wipe them clean so they are ready for next year. Just like the other two, I couldn’t resist making a half-size version. Again I kept the layout the same, opting for simple over convoluted. It is just a mini version of its big brother. 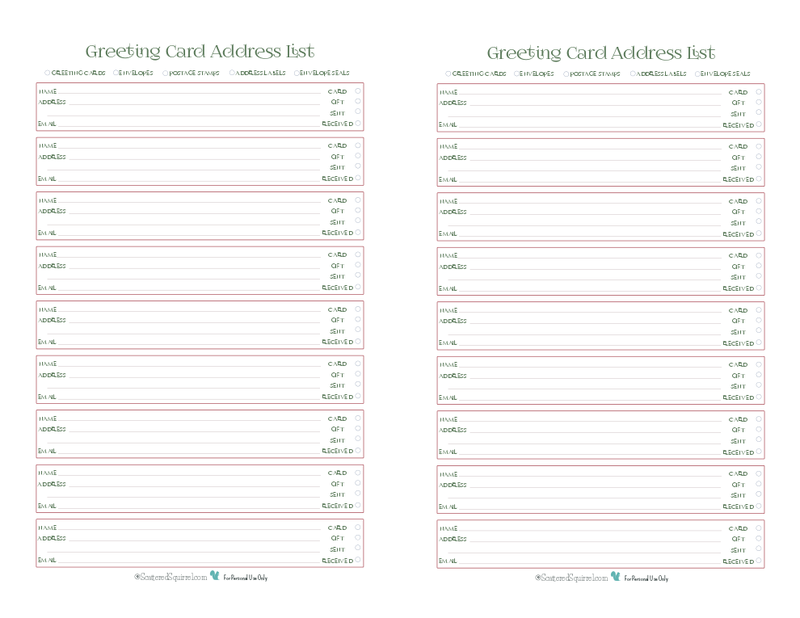 Working on these address list printables has the wheels turning for what sort of holiday greeting cards to make this year, even though it is still a little early. I can wait to get these new ones printed and filled out. Do you like to keep a paper address book or do you prefer digital?